Barbara Nugent, director of the Parks Services Division of the Fairfax County Park Authority, relaxes in a lawn chair while welcoming visitors to the demonstration park. Members of the Annandale community have a chance to offer their thoughts about what should happen in a new park under consideration for Annandale. The Fairfax County Office of Community Revitalization (OCR) is planning a small urban park in part of the parking lot next to the ACCA Child Development Center (CDC) on Columbia Pike. 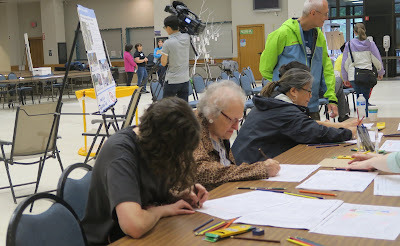 Community members, including Mason Supervisor Penny Gross (center), draw their plans for an urban park in Annandale. 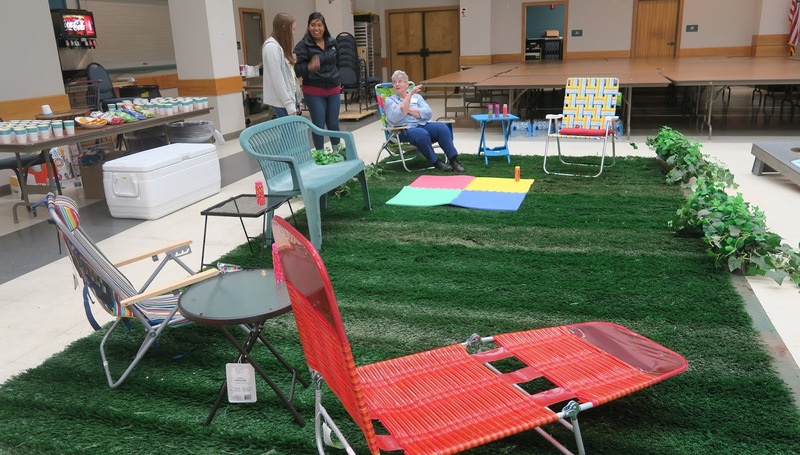 An outdoor “demonstration park” scheduled to be set up near that space on June 3 was moved inside the social hall of the Annandale Volunteer Fire Department due to heavy rains. 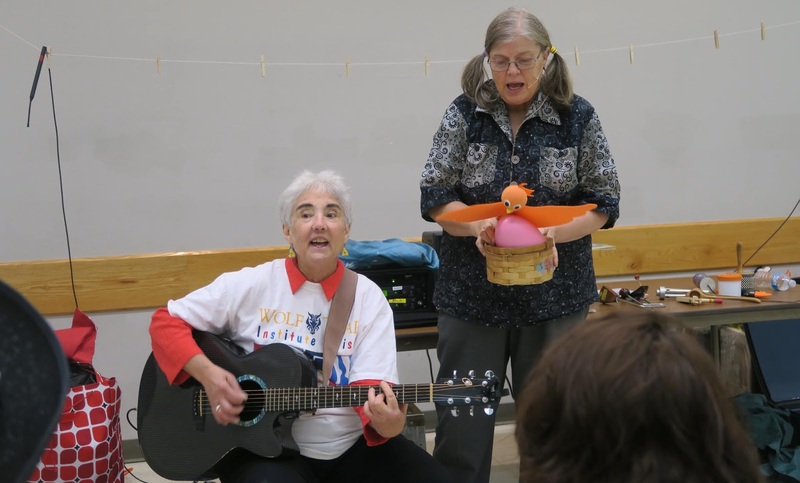 Residents sketched out their designs for a park with colored pencils, wrote down their ideas on pieces of paper attached to a “wishing tree;” and experienced some of the activities that might happen in the park, such as live music and games. 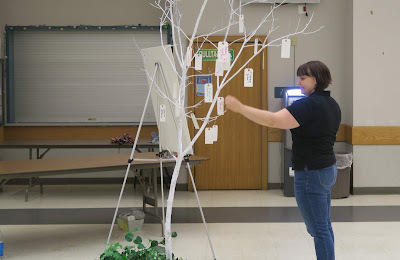 Suzie Battista of the Park Authority arranges residents' park suggestions on a "wishing tree." Here are some of the suggestions on the wishing tree: a child-friendly space, a dog-friendly space, tai chi, Zumba, a quiet place, fitness stations, a swing, a weekend farmers’ market, and cultural activities. The new park would be located on unused parking spaces outside the county-owned building at 7200 Columbia Pike, which is leased to the Annandale Christian Community for Action for the CDC. When the CDC is not open during evenings and weekends, the park space could be expanded to cover more of the parking lot for larger civic events and activities. Michele Valeri (left), a Wolf Trap master teaching artist, entertains the public at the park demonstration. OCR plans to create a conceptual design based on comments from the public. An online survey will be available June 4-30. Another demonstration park will be set up at the Taste of Annandale on Oct. 13 to elicit more feedback. The park is expected to be completed in summer 2019.